New Media Guru exhibited at TiEcon on October 17-18, 2014 at the Taj Palace, Delhi TiEcon Delhi promises to be a great learning platform for emerging companies to meet up like minded forward thinkers. Eminent people from technology industry and those who have lead congregates were the backbone of this event and took it forward with their knowledge and wisdom. The event was an open invitation to all those who are looking forward to become indispensable players in the market. The takeaways were rich and plush. The platform helps businesses understand the core of buzz creation as well as the key techniques of showcasing their brands as well as products. New Media Guru is the Design Partner of TiEcon 2014 and has designed the website for the event (TiEcon Delhi 2014). 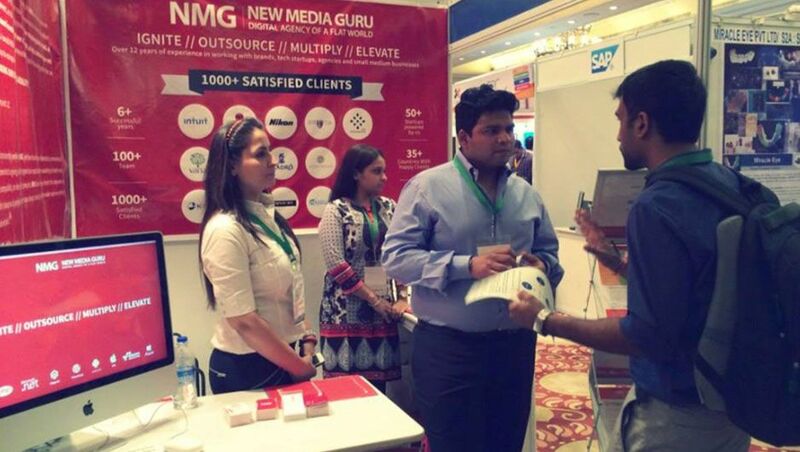 A booth was set up by New Media Guru at the event and it was a rich networking experience. NMG is an innovative full service offshore IT company which acts as a one-stop-shop for clients with web, mobile, ecommerce and cloud services. We are servicing a broad range of blue chip international companies, small medium businesses and scaling up production capabilities of the digital and web agencies based in the US and UK.